Most little girls dream about being a ballerina. 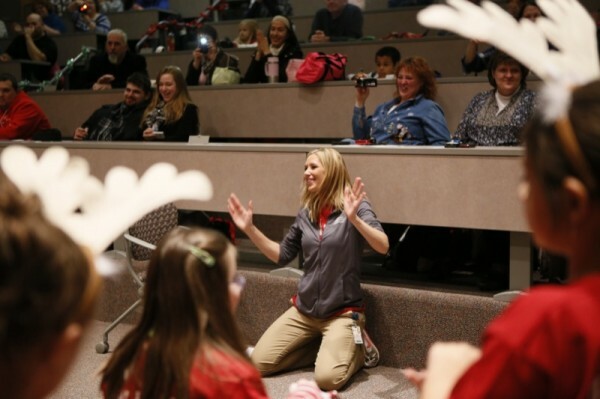 Thanks to Kellie Lightfoot, a pediatric physical therapist at Akron Children’s Hospital, there’s about 40 little girls with special needs who are living the dream. Every Wednesday evening, dancers of all ability levels and both genders assemble in the Emily Cooper Welty Expressive Therapy under the direction of the cheerful, effervescent Lightfoot. Don’t tell the kids, but they are having a therapy session. They think they are just having fun with a bunch of friends. 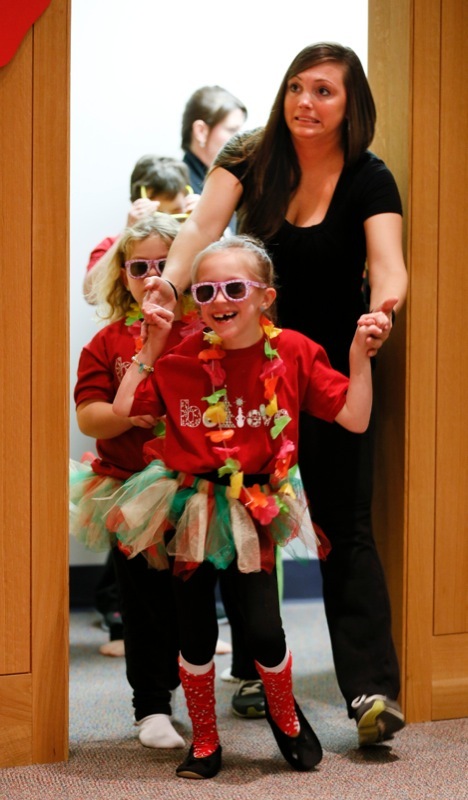 For Makenzie Yovanovich, dancing with the kids in Dance Unlimited is a dream come true. Born with a rare form of congenital muscular dystrophy called Bethem Myopathy, Makenzie became obsessed with watching wheelchair dancing videos on YouTube about a few years ago. She occasionally uses a wheelchair for longer distances, and her father, who also has muscular dystrophy, has been using a wheelchair since he was 12. Lightfoot says Makenzie feels right at home with her fellow dancers and benefits from the ability to express herself through movement. The program began 2 years ago and started with 15 students. The demand has been high because there aren’t many opportunities like this for special need kids. Accordingly, the program has grown to two classes comprised of 45 students. The classes benefit kids dealing with a variety of diagnosis, including Down syndrome, limb length difficulties, pulmonary problems, autism and cerebral palsy. Lightfoot teaches them a variety of dance styles, including ballet, country line dancing, jazz and hip hop.